Please be advised that this book is NOT suitable for Young Adult readers due to language and explicit sexual situations. I love Misty! She has quickly become one of my favorite authors and a dear friend! When I learned that she was writing this book, I jumped up and down. Why?! Well, for one this is a different story for Misty. Two, it sounds interesting. Three, I love the COVER!! haha! Best part of book: Hale and Oscar are the best characters! 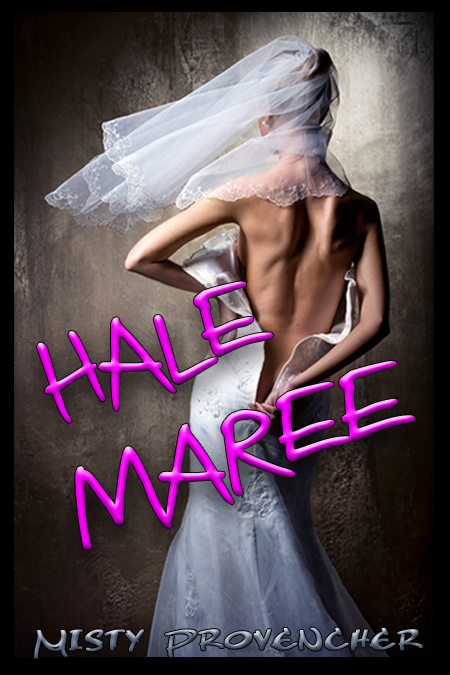 Hale, 18, young with an alcoholic father and is just trying to get by. Then her whole life is turned upside down when her dad comes home with some guy he knows and proclaims that she is getting married. *shakes head* WHAT!??!?!?! This is 2012 not 1712! I think (in fact I know) I would have reacted just like Hale did!! Enter: Oscar! (Hello, new fictional boyfriend) Oscar was not what I was expecting. From the book description you see "play-boy" and Oscar is so much more. (Man, Misty knows how to make a girl swoon). The thing I love most about him is that he truly cares about Hale's feelings in this situation that they are in. I love every part of this book. I love your style of writing and the stories in your head. I think you are a fantastic person both inside and out! Thank you for including me in your acknowledgement page! You are a special person and I love you for it!! I cannot wait to read more from you and will always be here to help if need be!! Thanks so much, Mary! I am sooo happy to hear you enjoyed it and would like more! Thank you for reading!